Talbert House was founded to help homeless men reenter the community. In August 1965, with a budget of $30,000 from private donations, the first halfway house program opened. Today, Talbert House operates in multiple service areas in conjunction with its affiliates throughout Greater Cincinnati. The services are offered to a broad-based population with the agency's mission in mind: empowering children, adults, and families to live healthy, safe, and productive lives. Talbert House helps thousands of men, women, and children throughout Southwest Ohio overcome adversity to become healthy and productive citizens. 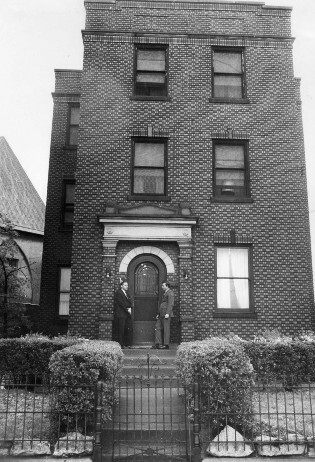 Talbert House was named after Dr. Ernest Talbert (1879-1971), Professor Emeritus of Sociology at the University of Cincinnati, for his support of community alternatives rather than institutional care.